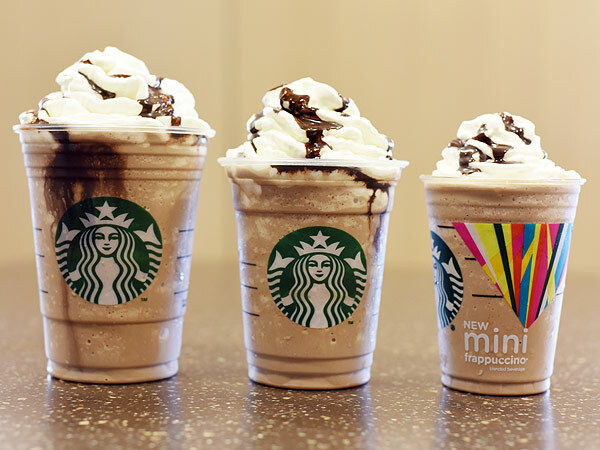 I have mixed feelings about Starbucks addition of “mini” frappuccinos to their menu. There’s a part of me that’s glad to see it because their “normal” sizes tend to be monstrosities. At least this is offering customers who want a sweet blended icy treat a better option. However, there’s another, more cynical, part of me that hates this limited time promotion. Really, Starbucks, if you wanted to offer healthier options for your customers then you wouldn’t make them “limited time” offers. You would also maybe try to actually make them healthier rather than just smaller. Because let’s face it, a S’mores Frappuccino isn’t really the healthiest of options at any size. And since when is 10 oz “mini”??! Ten ounces is a perfectly reasonable normal serving size for a beverage. It’s only because of our years of super sizing that we have come to reside in a world in which a ten ounce beverage is miniature. Miniature for Shaq or Sultan Kösen perhaps, but not for the majority of us. This is all just a marketing ploy to get more of us to spend our money on their products and to feel good about doing it. Okay, so let’s ruin that delicious blended icy treat for you just a little bit more shall we? An average (assuming the grande, i.e. 16 oz is average) Starbucks S’mores Frappuccino packs in a mere 500 calories (approximately what many of us should consume at an average meal), 20 grams of fat, and 68 grams of sugar (that’s about 17 teaspoons of sugar). But the much more reasonably sized “mini” version contains only 230 calories, 9 grams of fat, and 31 grams of sugar (a piddly near 8 teaspoons of sugar). Fine if you’re having it as a treat or a dessert, but don’t be fooled into thinking that the mini frapp is a good or virtuous option or a justification for having a cookie or brownie on your order as well. While not sweet or blended, I’m partial to the iced latte which, of course, isn’t even listed on their menu board. With just ice, espresso, and milk it’s a far less indulgent treat but it’s cold and caffeinated so it meets all of my criteria. In advance: freeze strong coffee in ice cube tray(s). Blend together: coffee ice cubes (about 1/2 tray worth), 1 frozen banana, 1 heaping teaspoon of cocoa powder, 1 tbsp almond butter, 1/2-1 serving of mocha flavour vega one, milk (to consistency). Serves two. 180 kcal, 7.3 g fat, 3.1 g fibre, 12.3 g sugar (about 3 teaspoons, from banana and milk), and 10.2 g protein. 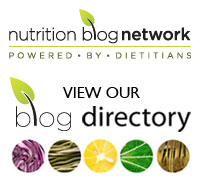 Let me know what you think if you try it and feel free to share your own healthy iced coffee recipes! Tags: frappuccino, marketing, nutrition, Starbucks, sugar, treat | Permalink.